We believe volunteer work is key in the development of students who plan on being business leaders or for any other career they plan on pursuing. NTS FBLA places heavy emphasis on volunteer work being one of our main areas of focus. Below is a list of all volunteer work NTS FBLA has been involved with through the years. NTS FBLA members have the opportunity to partner with Little Caesar's Pizza in the fall in order to help fundraise money for any FBLA expenses throughout the year. Taco John's offers a partnership where NTS FBLA members can spread the word to come eat at Taco John's and mention NTS FBLA invited them to come. Then Taco John's will give the NTS FBLA 50% of those sales!! Pizza Ranch offers a partnership where NTS FBLA members can bus tables for a night and collect all tips earned as well as 10% of revenue made that night. 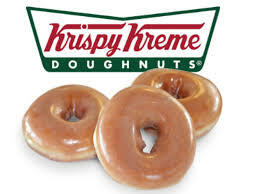 NTS FBLA members have the opportunity to partner with Krispy Kreme Doughnuts in the spring in order to help fundraiser money for State and/or National FBLA. The funds can also be saved up for next year's membership! The FBLA National Awards Program, also known as competitive events, recognizes and rewards excellence in a broad range of business and career-related areas. At the State Leadership Conferences, students compete in events testing their business knowledge and skills. See the Competition page for more information.